Hooray! Summer has arrived in New York and I couldn’t be happier. Although it means the kids won’t be going to school everyday, it does mean we can relax a little and not have to rush out the door in a mad dash. Every. Single. Morning. We are leaving the city again for the summer and I am very much looking forward to escaping the concrete jungle for a reboot. For anyone staying in the city, I’ve listed below a number of great things happening in and around this city in June. Back in April, AWNY held its AGM where we welcomed back some familiar faces as well as a number of new faces to the committee. AWNY would not be the wonderful association it is without the many volunteers who give there time to attend meetings, run events and contribute content for our website and social media pages. With this I am excited to welcome Sally B as co-chair to the Mums & Dads Group. With two of us on board, we are hoping to bring you more content & events suited to those of us living in NYC with kids. You will hear more about Sally in the coming months. With Sally living downtown and me uptown, we are also planning bridge the gap between the ‘uptown’ and ‘downtown’ families, by mixing it up a bit on where we hold our drinks, dinners and some family picnics. Keep an eye on the Facebook Group for information on the next night out. With Sally now onboard, I would like to personally thank Amanda Williams, who stepped in the past year to assist in organizing a few of the Mums & Dads evenings out, as well as the Christmas get together. Thank you Amanda, if it weren’t for your some of these events would not have taken place. 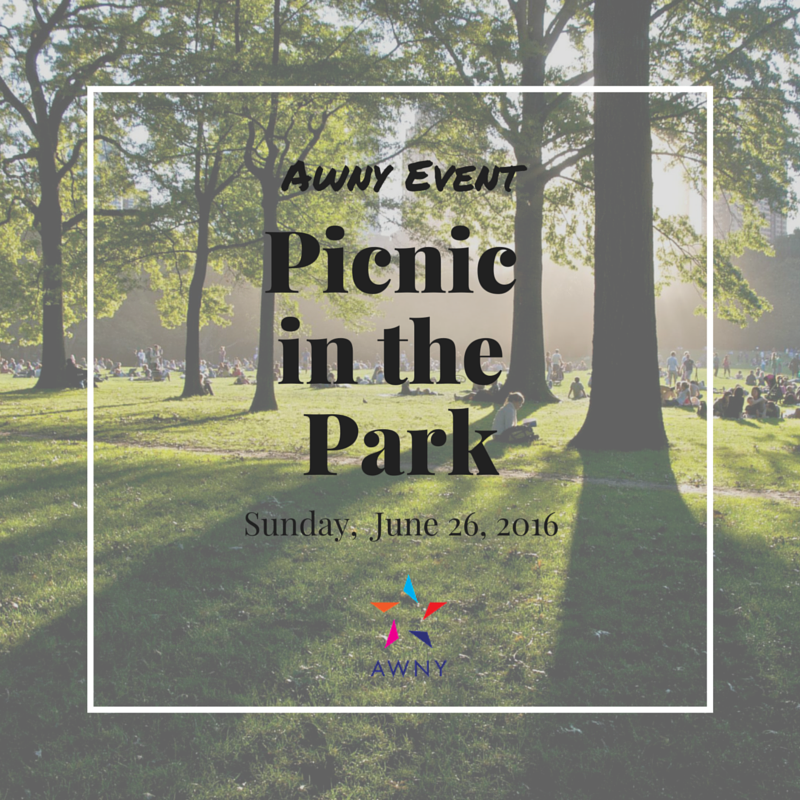 Don’t forget, the AWNY Picnic in the Park event is coming up on June 26, more information can be found below! The Swings: An Exercise in Musical Cooperation – Swing, and experience collective music-making in this interactive art installation! The Swings: An Exercise in Musical Cooperation is a giant, collective musical instrument that brings together people of all ages and backgrounds. Each swing represents one of four instruments—piano, harp, guitar, vibraphone—and triggers sound when participants swing back and forth. As certain melodies emerge through cooperation between players, The Swings fosters a sense of community and ownership of public space. This installation in Battery Park City will run from June 10, through July7. Click here & here. Museum Mile Festival – Tuesday June 14, Upper East Side. Click here. The 34th Annual Mermaid Parade – Saturday June 18, Coney Island. Click here. SummerStage Family Days in Brooklyn – Sunday June 19, Coffey Park (Red Hook), click here & Sunday June 26, Betsey Head Park (Brooklyn), click here. NYC Public Pools open June 29, click here for information and locations.